An Alexa Skill is like an App, where you can enable or disable one. Eddy Voice Remote offers two skills that you can enable. Both skills require an Eddy Voice Remote subscription, though you can sign up for a free 1 month trial here. There are two types of skills in Amazon Alexa (1) Smart Home Skill and (2) Custom Skill. Smart Home skill require less words but also have less commands. This skill is designed to give you control to many features of Eddy Voice Remote. It’s for users who want control of everything, such as button presses and the ability to learn new IR code with your voice and compatible hardware. This skill is designed for basic functionality in mind and being able to control one or multiple devices, such as your Tivo or Watching Netflix. The idea is that all you need to say is Alexa Watch TV and then say pause and play. Which Skill is best for me? Eddy Smart Home is recommended for most users because it requires fewer words and most people only want limited functionality such saying: pause, play, increase volume, decrease volume, next channel, previous channel, and go to channel 7. How does Eddy work with Alexa? Eddy has two ways to talk to your devices (1) via Port Forwarding and (2) via Eddy Bridge. 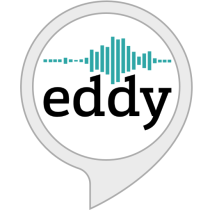 Find out how How Eddy works with Alexa here. Prev How Does Eddy Work with Alexa?